All those who love taking photographs have a golden opportunity to showcase their talent. 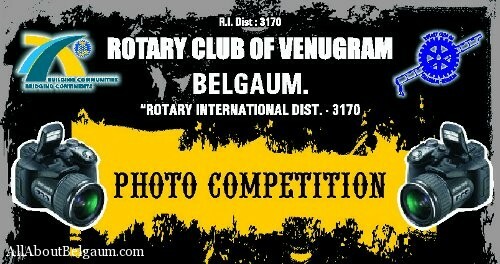 The Rotary club of Venugram is organizing a Photo competition sponsored by Subhash Photos. Portrait & Photo Travel . The photos have to be sent to the designated addresses by April 7, 2011 and there is an entry fee of Rs. 100 per entry. Both categories will have three winners with Cash prize of Rs.3000, 2000 & 1000. Also consolation prizes will be awarded. An elite panel of jury including both young and experienced photographers would judge the photos and an exhibition of the photos sent is also planned in late April, 2011. Since reading this news here, I have spoken twice to the organizers twice. First I was informed the competition results would be announced by June end. Then it got postponed to July 1st week, and finally end of july. We're in last week of july and there is no communication whatsoever. I have submitted 5 images in the prescribed sizes which alone cost me Rs.300/-. Also I have paid an entry fee of Rs.200/-. Now I can understand delays. but isn't it the Organisers duty to inform everyone about the delays. Please take a look into this matter if you can Uday. No news of the competition results. Can AAB tell whats the status of this competition…??? I had submitted my photographs also ??? The rules aren't specified here. There are a few doubts. 1. Is there a limit on the number of entries? 2. Do the photo's have to be submitted in hard copy? 3. How will the ownership of photos be verified? 4. Can an individual send multiple entries for the same topic?